Speculative speculation. A generally reliable Asian rumor source laid hands on a purported iPhone 5 component photo that looked, thought the source, a lot like an NFC antenna was somewhere in the picture. 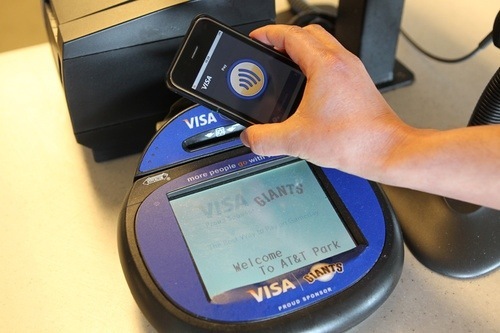 iPhone 5 NFC confirmed? Nope, says a prominent hardware guru and that judgement has been seconded by Apple’s unofficial rumorological gatekeeper. Confused yet? Anand Lal Shimpi is a really, really smart guy, the kind that’s forgotten more about hardware than many manufacturers know. His henchmen at AnandTech.com are rather bright, too. Not convinced by this deeply knowledgeable and sage voice of reason? Then let Jim Dalrymple of MacConnection, Macworld and Loop Insight fame (a.k.a. the Beard) slake your skepticism. And, that pretty much cinches that. Dalrymple may have been wrong in the past — no one can remember an instance. But that “yep” paired with Anand’s analysis rather nails down the issue. And, for what it’s worth, iPhone 5 NFC isn’t the only vehicle Apple can use to implement iOS 6’s announced PassBook feature (i.e. airline boarding passes, event tickets, etc. ), including Bluetooth and Wi-Fi.